I got an .xpo file from an older version of AX with some code of interest and because it had a few thousand lines, it wasn’t exactly easy to navigate. At least splitting it by object would make my life much easier. Fortunately I looked at the internet and found exactly the right tool for this task: xpoTools. Import-Xpo parses xpo files to objects expected by Split-Xpo, which creates a file for every object. The -Xpp flag means that the result are not .xpo files, but rather more readable files with pure source code (without all those # characters and things like that). This might be the last time I used this tool, but it did help me today. As often, a single search on internet saved me a lot of time. Development VMs for Dynamics 365 for Finance and Operations come with a cross-reference database that doesn’t match the actual code and metadata. There are many annoying references to Microsoft’s own test models, which aren’t included and therefore such references are useless and make finding real references more complicated. (The idea to get it fixed is quite popular and currently tagged as Planned). 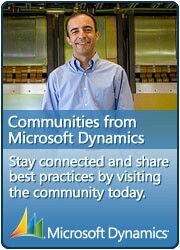 It ran for seven minutes on my local VM (with database recovery mode set to Bulk-logged). This blog post explains a problem that you can run into when using reference group controls with grouped data – and a solution for this problem. I have a table which stores references to workers. The field has HcmWorkerRecId data type, i.e. it stores record IDs from HcmWorker table. When I drop this field to a grid on a form, the system uses Reference Group control, which shows human-readable data instead of RecId numbers. 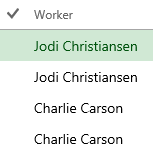 By default, it shows worker names. But the result isn’t correct – the reference group doesn’t show anything. The grouping works correctly; I can see the right record IDs if I display them thought an Int64 control instead of a reference group. The problem is that we group only by the record ID, but not by Name. And because Name is neither used in GROUP BY nor it has an aggregation function applied, its value is undefined and there is nothing to show. 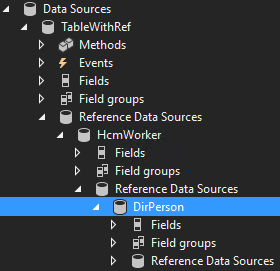 You can add them by right-clicking the Reference Data Sources node, choosing New Reference Data Source and then setting properties Join Relation and Name.